Josephine Angelini wows with compelling characters in the second book in her Starcrossed trilogy. 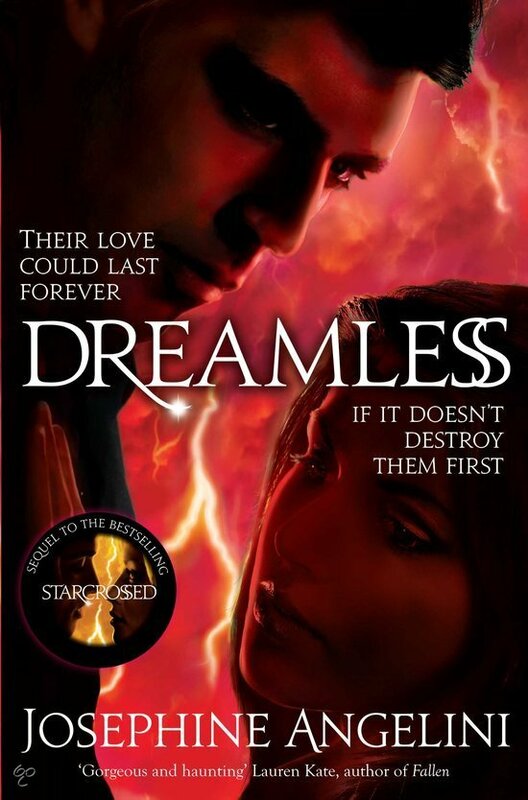 Here’s my review of Dreamless. Dreamless is the second book in the Starcrossed trilogy, a Greek mythology-inspired series about Helen Hamilton, a young Goddess. If you haven’t read the first book, you might want to look away now as there are some spoilers coming up. You can read my (spoilerless) review of Starcrossed here. Heartbroken and forbidden from being with Lucas, Helen has been tasked with breaking the curse that keeps them apart by killing the Furies. She spends her nights wandering the Underworld in search of them and, tormented by her worst nightmares made real, she’s beginning to suffer from extreme exhaustion on top of her heartbreak. One night, Helen meets another person down in the shadowy Underworld: Orion, descended from Adonis and with the power to control desire. Still in love with Lucas but drawn to this seductive stranger, Helen must make a choice that could save her but break her heart. So, when I first read that summary I was a little dubious. I mean, it’s a love triangle (something I both love and hate) and it all sounds rather dramatic. But in reality, Josephine Angelini has managed to be completely convincing, so I believed every emotion that Helen was feeling. She doesn’t all of a sudden stop loving Lucas, which is something I was quite concerned about. In fact, she doesn’t stop being in love with Lucas at all. (Phew!). I actually think Orion is a really great character that brings a whole new dimension to the series. He’s a connection to Helen’s mother, he has intriguing new powers and he develops an interesting relationship with the Delos family. I think what makes the Starcrossed series so great is the relationships, and the characters that are involved in them. I’m not just talking about the relationship between Orion and the Delos family, but between all of the characters in the trilogy, including Helen and her dad Jerry, and Helen and her mum Daphne. Both of those relationships, while completely contrasting, are believable and relatable, and show us different sides to Helen’s character. Extremely well written and captivating, I wouldn’t hesitate to recommend Starcrossed (and Dreamless) to another YA fan. Previous Post My TBR pile is enormous – help!